Sometimes we don’t have the best days. We’ll accidentally spill our morning coffee, perhaps we’ll drop food onto our lap. Maybe our phones or other devices will malfunction and we can’t get our work done. It’s always a bummer when things don’t go our way, and animals suffer the same fate. They tend to find their way into some really tough situations. So, if you’re down in the dumps and need a good laugh, here’s 10 photos of animals that probably had a worse day than you. Our favorite cuddly animal always likes to explore when you bring something new into the area. 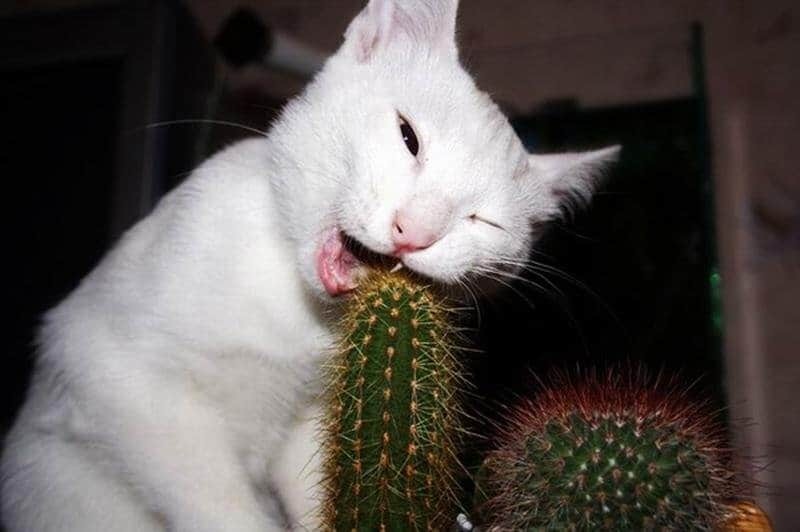 Unfortunately for this cat, he discovered cactus plants. 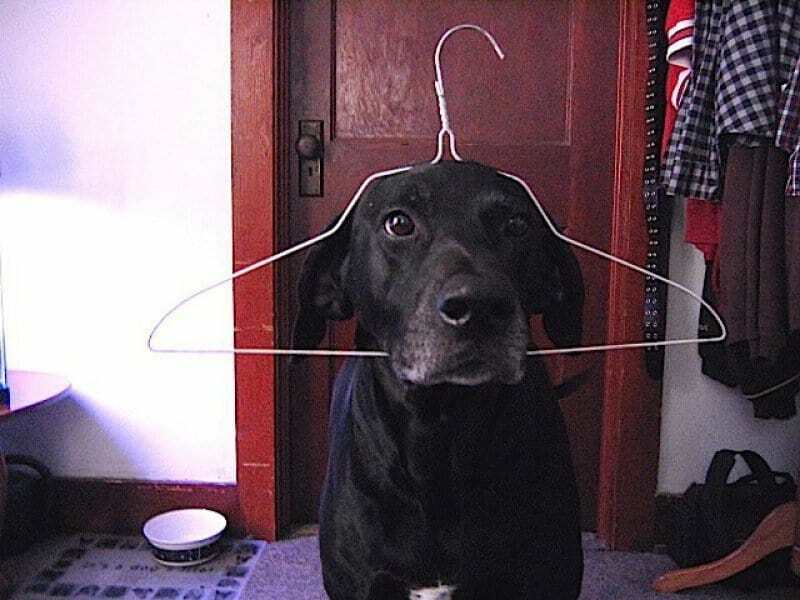 What makes wire coat hangers so fun is they can be bent and stretched to fit around anyone’s heads. 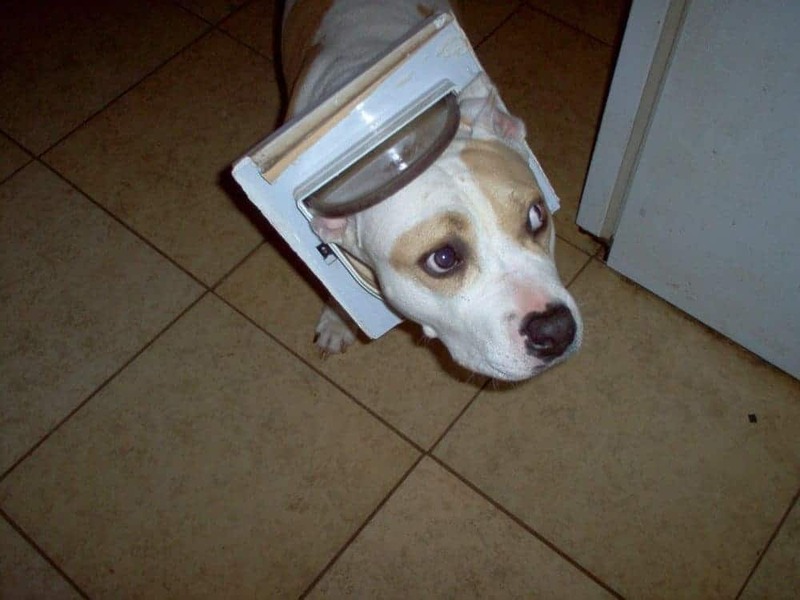 This dog learned that the hard way. 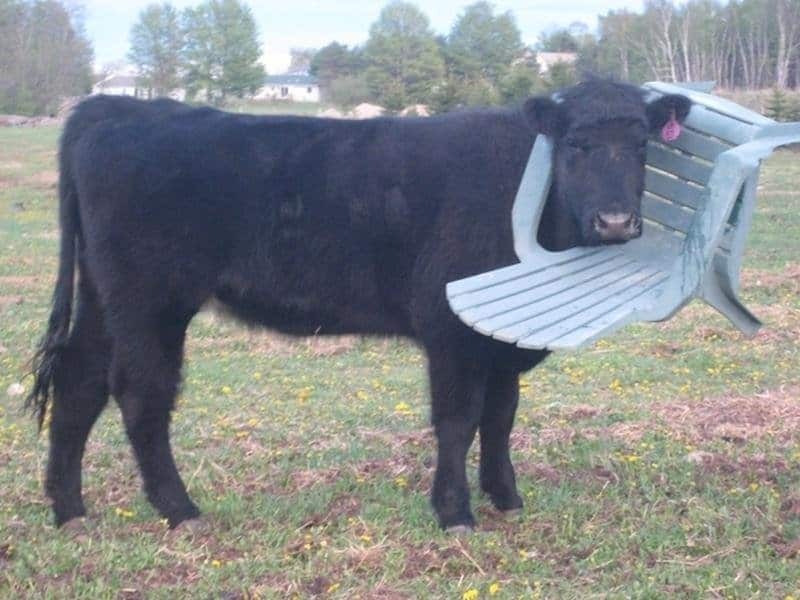 Considering how big the handles are, you wouldn’t think this cow could manage to fit his head inside there. At least he’ll always have a place to sit. Likely made for somebody else or when he was smaller, this dog can barely fit inside of the door. Whatever the case was, it certainly wasn’t made for him now. Sometimes our feline companions like to mimic man’s best friend. This cat’s gotten a little too chubby, and he learned the hard way that he can’t fit through the door. Outdoor wheel decorations in gardens can really make the area look beautiful. 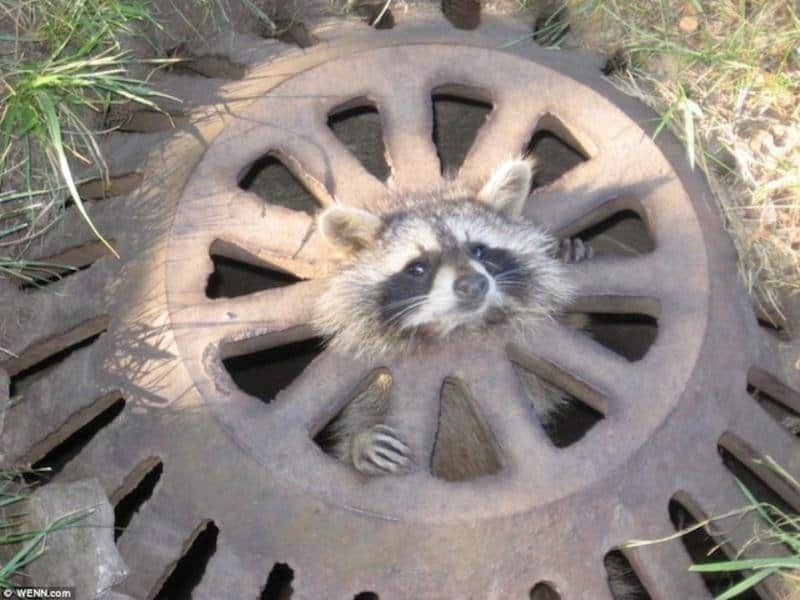 They apparently can also be good traps for animals you may not want as this raccoon found out. 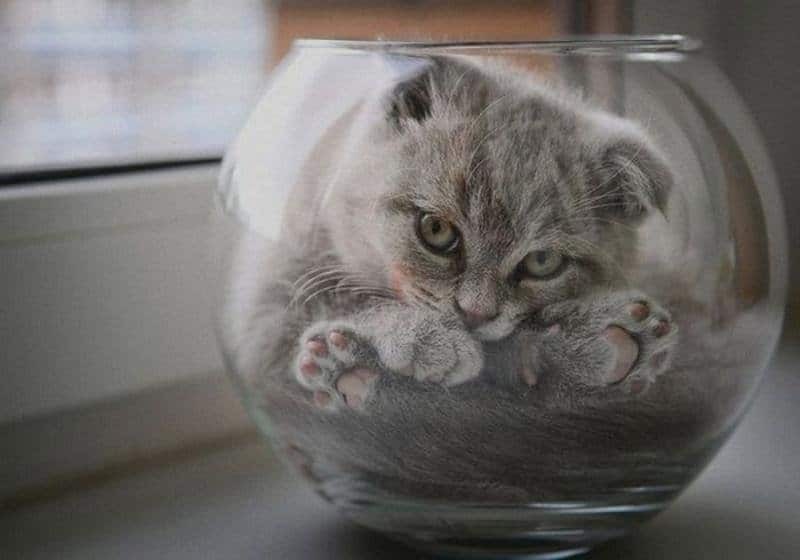 Small kittens are even more adventurous than adult cats and you will be surprised to see where they end up. 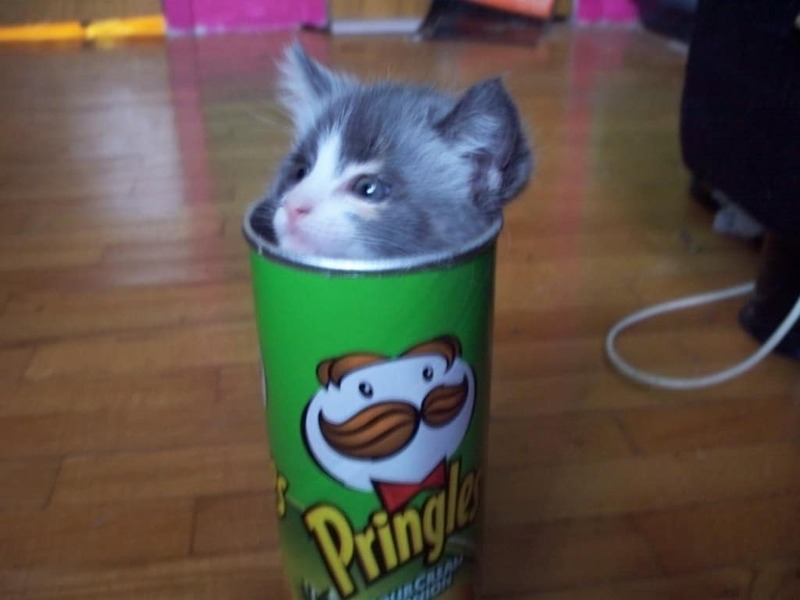 When you’ve lost your pet, don’t forget to check your favorite snack container. 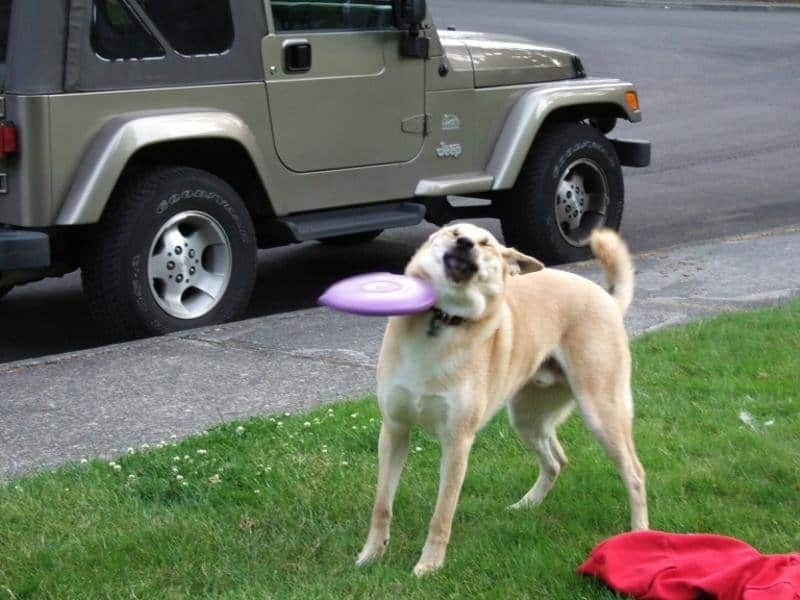 Dogs love playing fetch, but sometimes that activity can go wrong. This is one of the most famous fails ever captured on camera by an animal. To be fair, it has to be extremely boring to be walking around slowly in a restricted area each and every day. 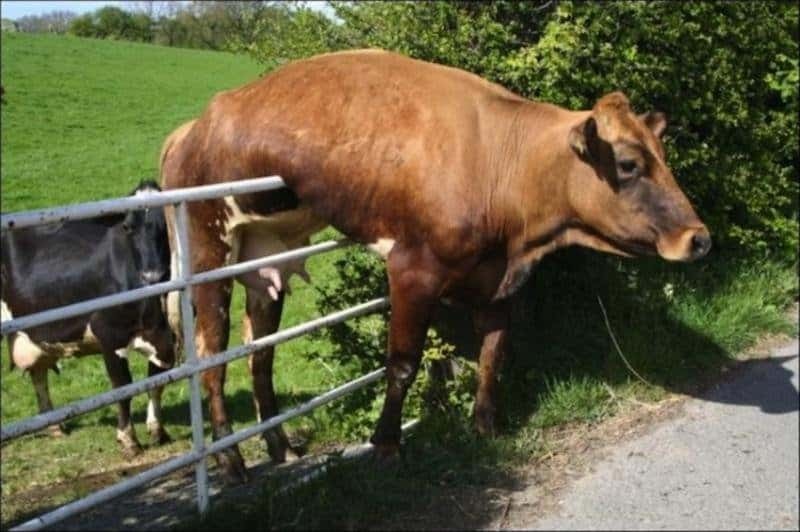 This cow wanted an adventure, but he didn’t end up getting far. Another trait that cats have is conforming to their space. 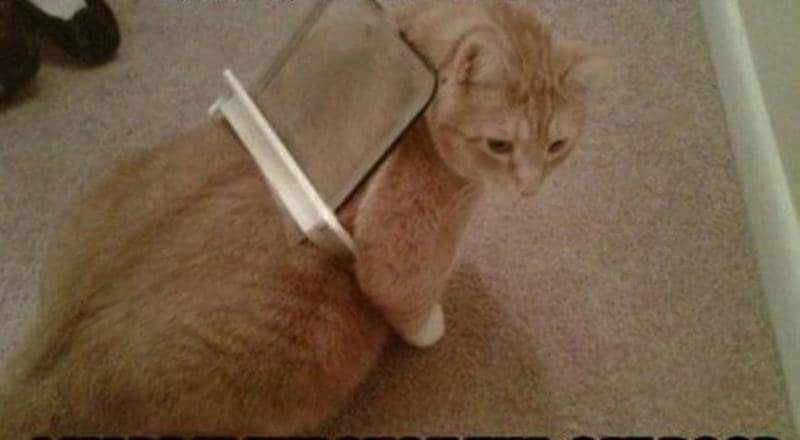 We know they love to be safe and lounge around in areas they feel protected in, but this cat took it a bit too far.